TiVo just reminded everybody it’s still a thing, and that it isn’t resting on its laurels. Instead, the company is jumping in with the smart home crowd, adding support for Amazon Alexa, Google Assistant, and IFTTT. Which should make TiVo owners’ lives a little easier. TiVo helped change the way we watch television before streaming was even a thing. While many people have upgraded to newer technology, millions of households still have TiVo DVRs in their homes. The company is keen to remain relevant, so it’s adding support for smart home devices Smart Home on a Budget: 10 Cheap Alternatives to Popular Devices Smart Home on a Budget: 10 Cheap Alternatives to Popular Devices All the functionality of your favorite smart gadgets for a fraction of the cost? Yes please! Here are 10 less-expensive devices you can easily substitute in your smart home. Read More . 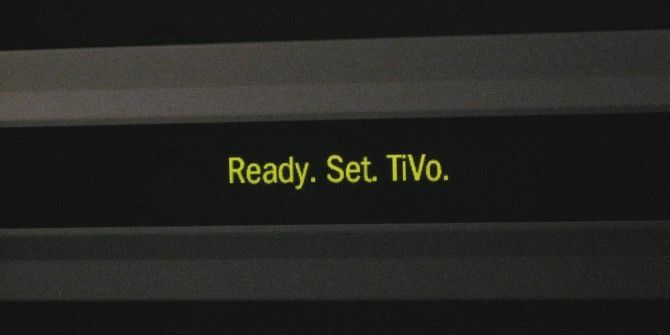 In a blog post announcing its new smart home capabilities, the company says it sees “the potential for TiVo to play an important role in our customers’ smart home ecosystem.” And it’s using “advanced, far-field voice control” and “IFTTT Applets” to connect to a range of devices. Details are thin on the ground at the moment. But it looks as though Alexa will offer basic functionality, allowing you to say things such as “Play, “Pause,” and “Select”. Google Assistant will offer deeper functionality, allowing you to search for specific titles using your voice. Using IFTTT The Ultimate IFTTT Guide: Use the Web's Most Powerful Tool Like a Pro The Ultimate IFTTT Guide: Use the Web's Most Powerful Tool Like a Pro If This Then That, also known as IFTTT is a free web-based service to get your apps and devices working together. Not sure how to build your applet? Follow along with this guide. Read More you’ll be able to “receive a text message if your kids try to unlock parental controls,” “automatically pause TV when someone rings your smart doorbell,” “turn the TV on to ESPN when you get home from work,” and “automatically skip right past” commercial breaks. TiVo announced these new smart home skills at CES 2018, but the company hasn’t yet said when it will be rolling them out. Our best guess is that they’ll arrive sometime in 2018, and hopefully sooner rather than later. Giving you at least a few months to brush up on your elocution. Do you own a TiVo DVR? Will you be making use of its new smart home capabilities? Or are you happy using it in the same way you have been using it for years? What else should TiVo do to stay relevant in an evolving industry? Please let us know in the comments below! Explore more about: Alexa, Google Assistant, IFTTT, Television. I would love the Tivo Skill for Alexa.